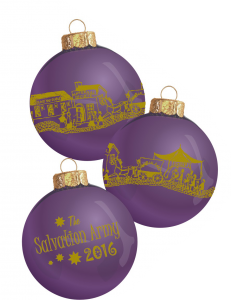 Cheryl Lyon was asked to come up with a fundraiser for The Salvation Army in Richmond. 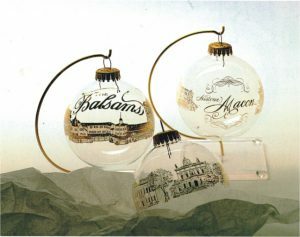 She came up with the idea of placing scenes of Richmond in 22K gold on a clear glass ball ornament. Cheryl’s research indicated that both the glass ball ornament manufacturer as well as the gold supplier thought it couldn’t be done. She figured out the secret for making it work and produced and sold thousands of these ornaments. With that, LDA Creations was born. The Salvation Army was the first customer. We have provided them with more than 250,000 glass ball ornaments since that time. Over the years LDA attracted the attention of notable customers such a Colonial Williamsburg, Mount Vernon, and Monticello. The scope of LDA’s offerings spread far beyond glass ball ornaments. 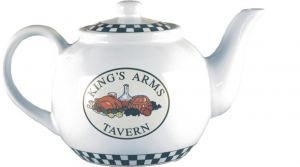 Hand-painted ornaments, custom dinnerware, engraved glass and wood items were added to the products that LDA could produce – all of them with custom designs for each customer. On many occasions Colonial Williamsburg Foundation, for example, would request something that LDA had not done before. LDA had gained a reputation as a great product developer and the breadth of items LDA produced was growing all the time. 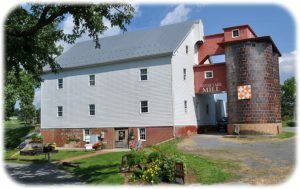 In 1999 an old mill became available in Dayton, Virginia. It dates back to 1822 and has some interesting Civil War history. The mill needed vast amounts of TLC. 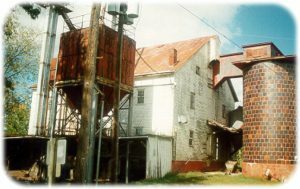 The company had the vision to renovate the mill and move its operations there. Eighteen months later the vision had come to fruition and LDA moved to Dayton! It is a great Mennonite farming community just outside of Harrisonburg. In 2013 Cheryl started thinking about retirement and two years later she did just that. Candace and Stan Farthing have been the owners since 2015. Candace started with LDA as an artist in 2010. Stan has a great deal of business expertise that is essential in keeping things moving. LDA is a strong company. We are always interested in innovation and staying current with the needs of our customers.